Facilitating questions, teacher’s notes, and Pacing Guides help teachers stay on track and focus on the TEKS when reviewing with students. 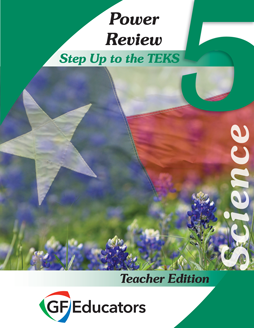 View a Sample of the 5th Science Power Review Teacher Edition by sending an email to info@stepupteks.com asking for the password. Accompanies the 5th Science Power Review Student Edition.